Val Goldfinch. 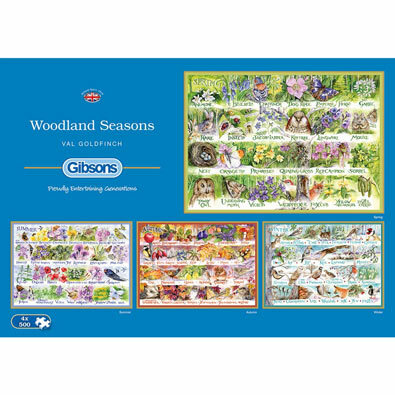 Set includes four 500 piece puzzles with flora and fauna highlighting each season. Each puzzle measures 13-1/2" x 19"; Spring, Summer, Autumn and Winter.